In Spirit Sisters, women of all ages share their very personal encounters with the supernatural. We meet a high-flying banking executive whose life changed forever after a visit from a bizarre, winged entity, a mother of seven who was held and soothed by her husband five days after she'd buried him, the woman who lost most of her family in a car accident and gained a guardian angel; and many more whose lives have been touched by uplifting encounters with the other side. This is a heart-breaking, inspiring, and ultimately, comforting book. 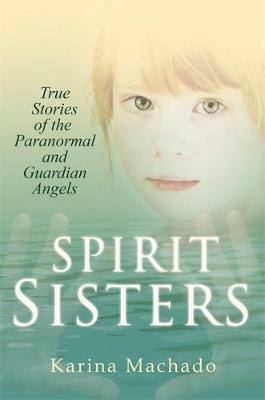 Packed with amazing anecdotes, it opens the door to the spirit world and helps us reconnect with those we have lost to the afterlife. Karina Machado was born in Uruguay and moved to Sydney with her family as a toddler, where she grew up hearing stories about her mother's psychic gift, igniting a life-long curiosity about all matters supernatural. She began her career in journalism as an editorial assistant at Time magazine in 1994, and is now senior editor at Who magazine, where she's forever pitching spooky stories. She's also obsessed with the Tudors, and has been know to dress up as Anne Boleyn, whose ghost she's sadly never seen.